Hello friends! 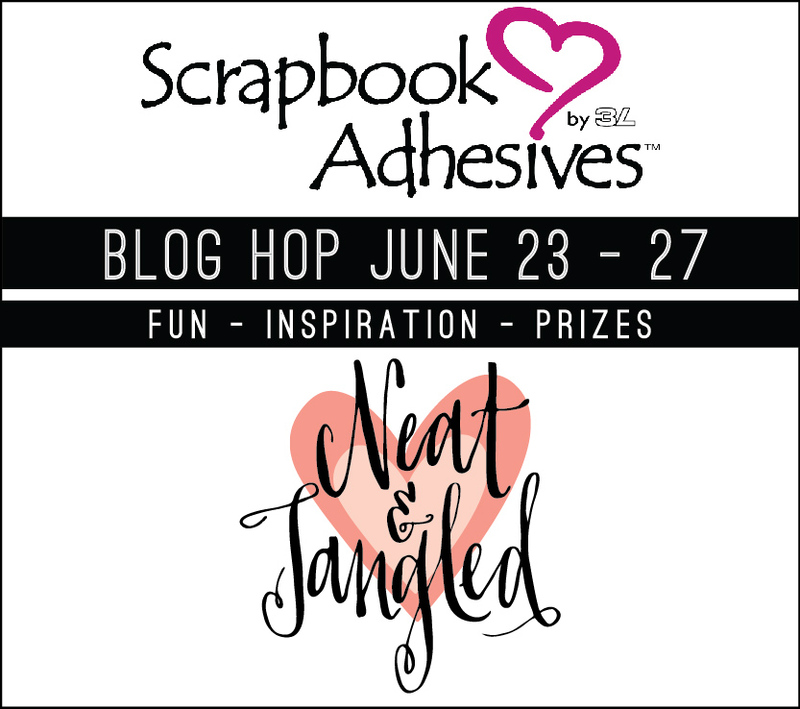 We are so excited to be teaming up with our friends at Scrapbook Adhesives by 3L to bring you LOTS of inspiration (and some great prizes) this week! 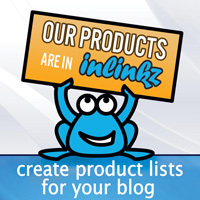 They have amazing products that include 3D foam squares and shapes, Dodz, E-Z Runner tape dispenser, Adhesive Sheets, and tons of other amazing options! After you view the projects here be sure to head over to their blog for even more! First up we have Joni with two amazing projects! To pull these together she used a combination of 3D Foam Squares, Adhesive Sheets, Dodz, and the E-Z Runner. For her first card she used the sentiment from our Clouds set. 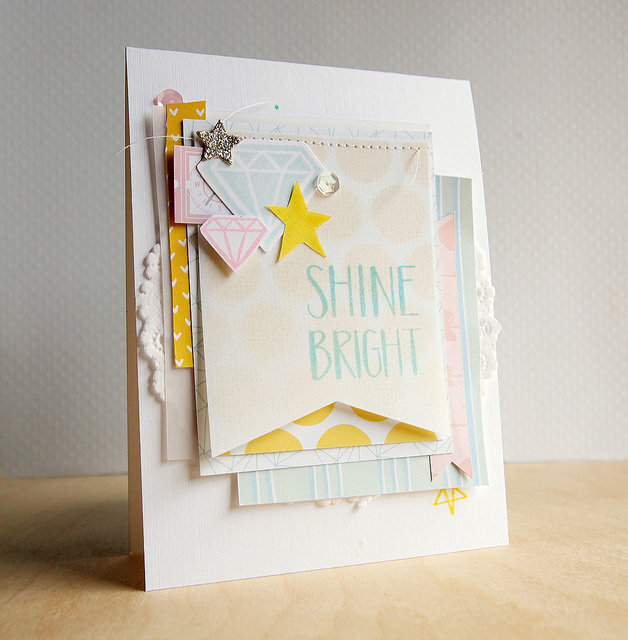 For this one she used our new A Lot to Say die along with Tiny Triangles to create the focal point of her card. We also have this soft and stunning beauty from Jocelyn! I love how she used the diamonds from our Sparkle and Shine set! To make all these lovely layers come together she used the Adhesive Sheets to create her glitter star, Foam Squares to pop up her diamond, and the Dodz and E-Z Runner to adhere her papers and doily. Alright, now head on over to the Scrapbook Adhesives by 3L blog to see even more projects! What a great idea with the clouds, That is so cool!!!! great projects today, I am looking forward to the week!! STUNNING cards!!! WOW! Love them! Wonderful cards! Love how the flower was made with clouds! These are gorgeous, love them!!! Lots of great texture and layering on todays cards. I love that big red flower. It is so pretty. the second card has so many layers and looks great. Thanks for sharing two wonderful cards. Great cards. Love the big flower on the first one. Cool -- love the "cloudy" flower - so clever! Beautiful! I love the pretty flowers and sequins! Very pretty cards...love the flower on the first and the layers on the last. Oohhhhh these cards are amazing! It's amazing how creative one can be. love the cards - always use Scrapbook adhesives. All 3 cards are lovely but I'm intrigued with the first card love the deep colors and the shapes are wonderful I will have to check out these dies thanks Ladies! All these cards are so lovely, thanks for sharing them!!! great projects! love the cloud petals! These are lovely...thanks for sharing..
3 gorgeous cards! I love the ribbon on Joni's and the layers on Jocelyn's! Love the cards!!!! Those tiny triangles are so cute!!!! Lovely cards today. Love how the flower was made with clouds. So pretty! Love your cards. Neat stamps. Wow, these cards are stunning! I love the colors and layering. Those cards are gorgeous! I'm definitely making my own version of these! So pretty! Fabulous cards with those wonderful sayings. So glad to find a new company with such versatile stamps. Can't wait to see what all the design team does for the rest of the blog. Great work by the designers. Great designs, and thanks for the giveaway! A trio of gorgeous cards! The vibrant colours of Joni's two, the delicate colours of Jocelyn's...so absolutely stunning! WOW! Wow - wonderful cards! Thank you for the inspiratioN! Lovely cards! So many ideas to use. Thanks for the chance to win. Love the big flower card! Such fun cards! wow, these are gorgeous cards....fabulous inspiration! Joni and Jocelyn's cards are awesome! Lovin' that gorgeous flower.... fabulous and creative use of the cloud die! Who would thunk? A flower made out of clouds! All three cards are really fun! Awesome cards from the DT! Joni and Jocelyn created some jaw-dropping cards! These are all gorgeous. I love the dimension and layers. Fabulous!!! What absolutely gorgeous cards! 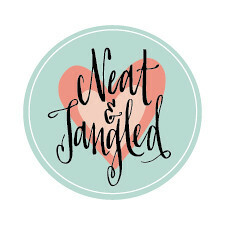 I love blog hops because you get to see so many fun projects!